This is a question we see getting asked a lot online. “How do I guarantee a win from the bookies?”. The answer is you can’t. At least not long term, the odd tip might come along that gives you inside info on the next manager at your football club or something but these are once in a lifetime things usually. Don’t lose hope yet though as there is a way you can make guaranteed money from betting – and it doesn’t involve gambling. If you are interested in gambling then by now you have probably heard of matched betting. If you haven’t or want to know more on the subject then you can read this blog post to find out more. Let’s be clear on this though. 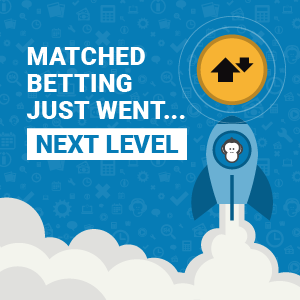 Matched betting is the only way to make a profit from the bookies. There is a reason that bookies are incredibly wealthy organisations, gambling is set up so in the long run they always win. Think of it very simply, take a football match as an example. Ignoring who’s playing and what the form is etc, there are 3 possible outcomes. Home win, draw or away win. Most punters will bet on one of these, it’s the most common bet in gambling. Let’s say you bet on the home win, that means you have a 1 in 3 chance of winning but the bookie has a 2 in 3 chance of winning as if it’s an away win or a draw they win. Over thousands and thousands of bets they make huge profits as the odds are always stacked in their favour this way. It’s even worse with horses, 10 horses in a race, you have a 1 in 10 chance, they have a 9 in 10 chance. That’s a 90% chance the bookies will win. You can see that over time you will always lose. That’s where matched betting comes in and tips this balance in your favour. It doesn’t just tip the balance though, it rolls it right over. You can’t lose. Sounds to good to be true? That’s what most people think. This is one of those times that it actually is true. The best place to learn how to do this is on Oddsmonkey. I can’t recommend them enough. Give their free trial a whirl – you won’t regret it.